Gabby was born and raised in Beaumont, Texas - living there for most of her life. She moved to Houston about 12 years ago. She discovered yoga about five-years ago through finding a huge interest in inversions. Gabby’s first class was from a very close friend at a small Taekwondo studio. Since then, she has fully immersed herself into her practice and she finds it truly magical. Opening up to practice, Gabby has ultimately found healing in a much deeper sense. Naturally, she has gone through some hardships. Always feeling a sense of abnormality to those around her. Through her practice, Gabby has truly began to find herself. Subsequently, she has started to learn more about inner peace and finding clarity in everyday life. 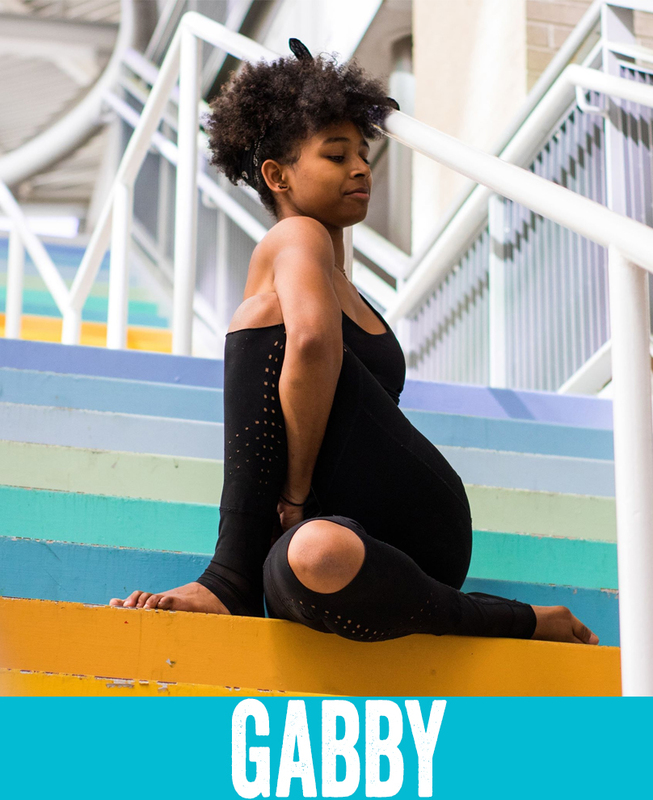 Since becoming a Yoga teacher Gabby has found a deeper understanding for the power she holds as an influencer to her students and those around her. Gabby has studied through one 200-hr YTT in the style of Vinyasa. Since, then she expands her knowledge through self-study and seeking guidance from Teachers in the community including; Sandra Burgess, Larry Thraen, and the teachings of Robert Boustany. By this expansion, her knowledge had grown tremendously and it is showing. Gabby’s main goal in every class is for you to connect with yourself and to provide a space that is open and full of creativity. Through building strength and breaking down fundamentals paired with a few light hearted jokes this will allow the students to create a safe and sustainable practice while still enjoying themselves. She hopes to have the chance to meet and guide you! !